Amber, the gold of the Baltic Sea, also called Amber or Electrum, consists of fossil resin (fossilized tree resin). Amber is millions of years old. You can find amber in many colors, known and loved however it is mainly colored in the shades honey-yellow to brown. Also known as a healing stone Amber enjoys a growing popularity. Amber necklaces are worn on the body. This leads to friction and the stones are electromagnetically charged. This keeps ticks and fleas off the fur. About the positive and healing properties of amber Hildegard von Bingen and Paracelsus already reported. Practical plastic screw cap. Since we are using untreated natural amber for our chains and this is slightly more fragile than treated amber, it can also happen that the individual stones shear off. This is not a defect in the product but rather a guarantee that it is really genuine natural amber. The effect thereof is not impaired. Note: All of our chains, that are stretched on a thread and are individually knotted, can still stretch out over time. Since the effect of amber and other so-called healing stones are not scientifically proven. We expressly point out that our brands and our other products do not replace a visit, or treatment at the Veterinary and we can give no guarantee to the effect. 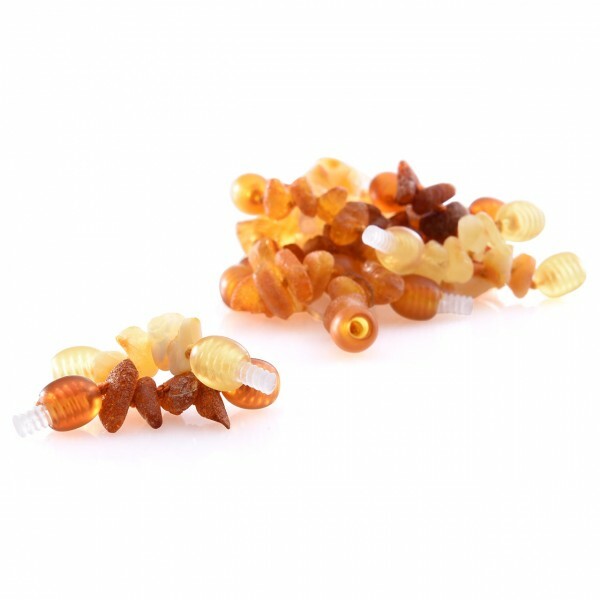 links "Larsson Swedish Amber Necklaces Extentions 3cm for dogs"
customer reviews on "Larsson Swedish Amber Necklaces Extentions 3cm for dogs"